Who doesn’t love a good KFC? I know I do but I never allow myself to have it anymore given how calorific it is. Not one to be told I can’t have anything, I decided to create my own. I’ve been experimenting with a few different versions of this recipe and this one is definitely my favourite! It’s really quick and easy and best of all, can just be bunged in the oven and left to sizzle. You can make this as authentic as is gets by using chicken drumsticks but it is slightly more points. If you want to make an even lower sp version you can also use chicken breast. It tastes lovely but isn’t quite as juicy as the drumstick alternative. Start by popping your BNS chips in the oven if you are having them. Pop the egg into a wide bowl and beat. Then in a separate wide bowl, mix together the flour, southern fried seasoning, Cajun, polenta and salt. Coat each chicken drumstick in the egg and then into the seasoning mixture and pop onto a baking tray sprayed with 1kal (if you have enough seasoning you can repeat this process on each leg twice but once will still make it lovely and tasty). Pop into the oven for around 35 minutes until golden and baked through. By this time your BNS chips should be cooked through. Serve with a nice side salad and accompaniments of your choice. 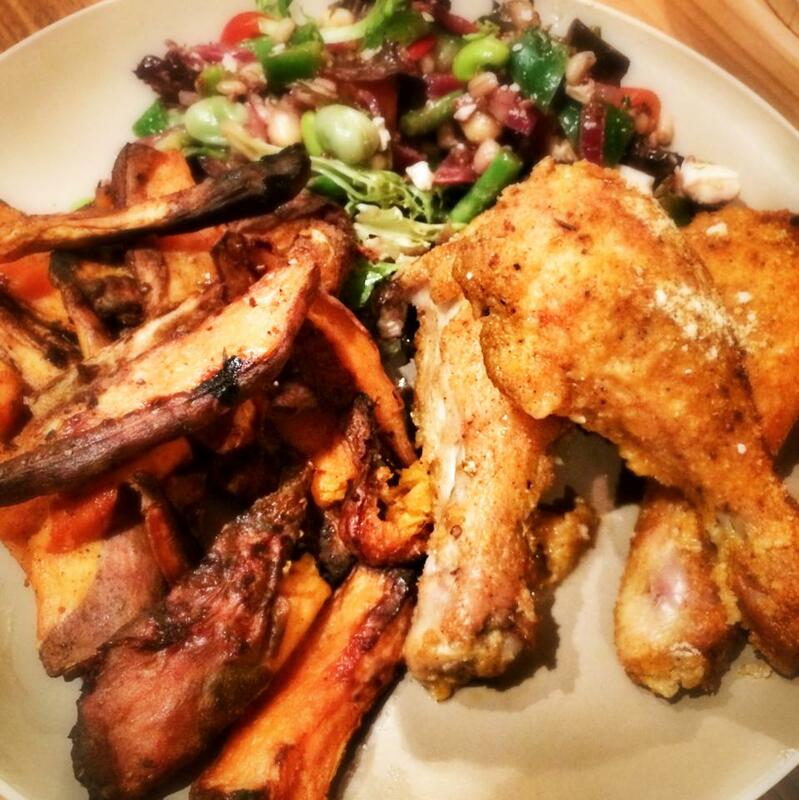 I tried this chicken last night, it is better than takeaway, my husband, who is a reluctant ww diner was blown away, I cannot stress to everyone how much they should try this recipe!!! Hi where do you get the oxo southern fried seasoning from please? Thanks for your reply. ill have a look thank you. Maybe they’ve stopped making the oxo , shame cause it’s a lovely recipe. LOVED your Fakeaway KFC! Really really tasty! Will make it again and again! Thanks. Do you have the points for this now it’s flex?